Menopause: Sage is one of the most effective herbs for helping alleviate hot flashes in menopausal or peri-menopausal women and can be used as the need arises. When used in conjunction with Vitex, it can eliminate hot flashes and night sweats altogether in most women. Herb Lore's teas are bulk teas. You can make a large pot to drink from during the day, or you can use a tea ball infuser to make it by the individual cup. 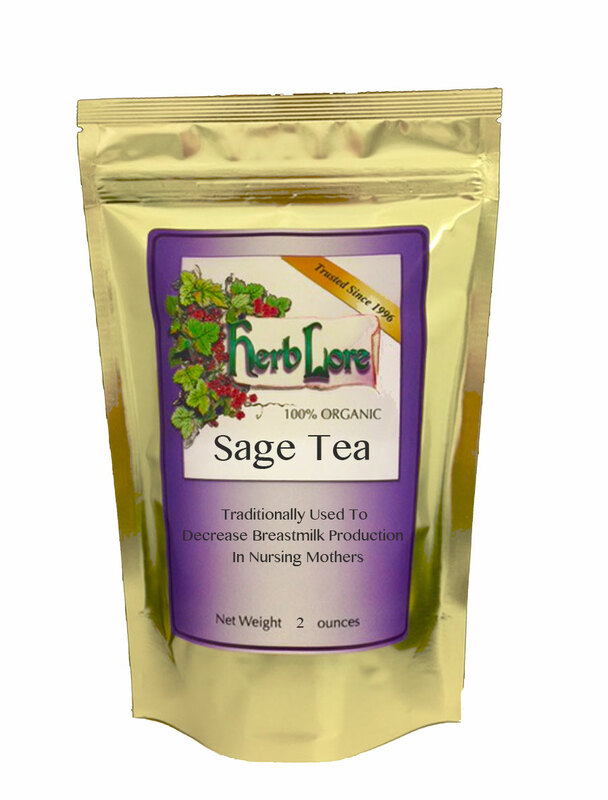 Sage also comes in a hand tincture (liquid extract) form. NOTE: Not for use by those who are pregnant.